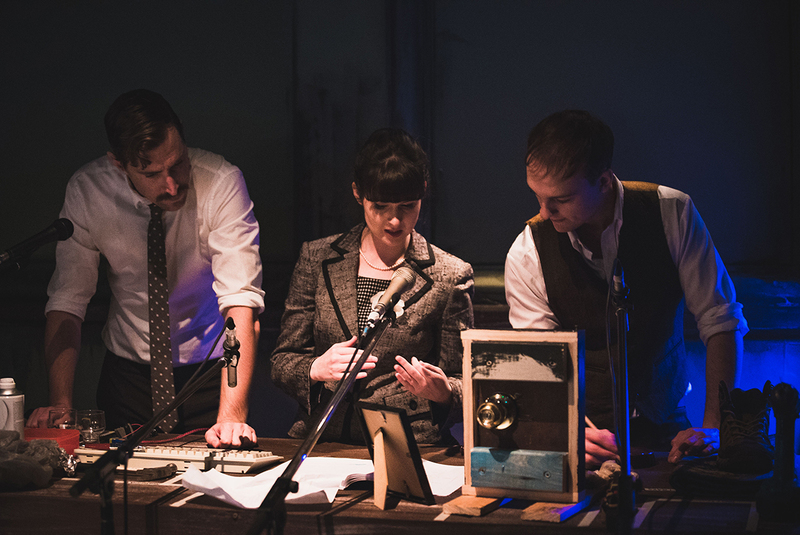 Early in Second Chance Theatre’s Laika we hear yips from the eponymous dog calling out from her space capsule via the radio to her Soviet masters. In 1957, Laika became one of the first organisms launched beyond Earth’s atmosphere and the first to orbit the planet. She came to a sad end, terminally overheated by a technical malfunction, pre-empting plans to euthanise her. Laika’s fate forewarned of the brilliance and brutality of the Soviet space program during the early years of the Cold War. Amid failing Five Year Plans for economic development, widespread goods shortages and faltering attempts to govern and modernise the then world’s largest nation — still recovering from 20 million war dead — Soviet scientists achieved incredible feats, regularly venturing into space years before their counterparts in the ‘free’ world. However, Soviet idealists proved the superiority of their regime by skimping on safety procedures and treating cosmonauts as no more than cargo. Space is an inherently radiophonic subject, full of waves, including radio and the thermals that killed Laika. Communication with satellites was via radio and the majority of audiences for space travel feats (even for the Moon landing) heard about them via wireless. Not surprisingly then, the drama of apparently free-floating voices and sound effects features heavily in ‘space’ art, ranging from David Chesworth’s meditative opera Cosmonaut (2015), works by Laurie Anderson (USA Live, 1984), David Bowie (Space Oddity, 1969) and George Clinton (Chocolate City, 1975) and his techno successors. The director and author of Laika, Scott McArdle, lines his performers along the front of the intimate Blue Room stage, each standing crooner-style before a large valve microphone. Most dialogue is delivered directly forwards to the audience, with side glances and interjections serving to punctuate and further dramatise the writing. When Yuri Gagarin (St John Cowcher) — the first man to travel beyond the Earth’s atmosphere – comes on the scene, his helmet illuminated green and red from within, he sits to the side and slightly to the rear of the other performers, as the stage goes to black and they are individually spot-lit. Although live foley sounds are employed for footsteps, clinking glasses and so on, McArdle and his ensemble largely eschew sound processing or spatialisation, which would be difficult in such a small space. There is none of the foley-making as theatre such as that superbly rendered by the Ennio Morricone Experience and Chamber Made Opera’s Phobia (2004). By contrast, microphone placement itself provides the scenographic structure. 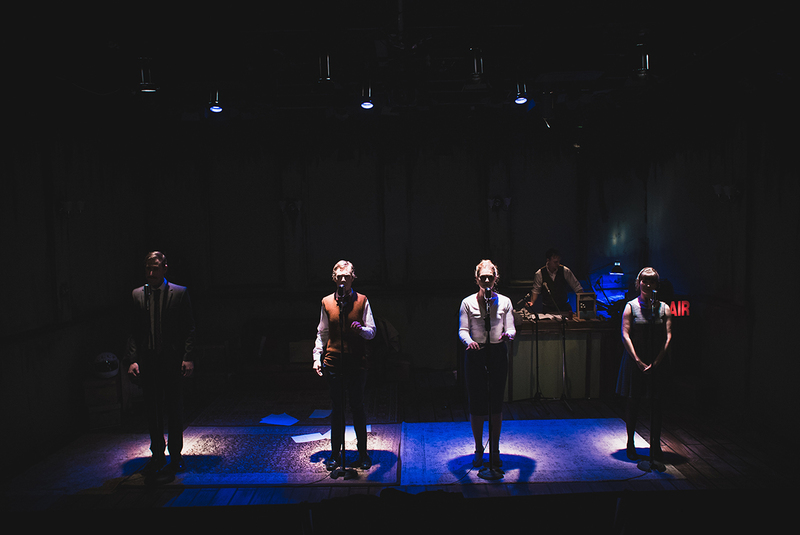 By having the actors simply stand at their microphones, the piece attains a certain abstract and Brechtian quality, while nonetheless feeling intensely personal. Although Laika chronicles key events, sketching Machiavellian conflicts and moral challenges, the focus is on our dream of being embraced by space itself. The protagonist (Taryn Ryan) dreams of flying into the blue rim of the planet, while her boss (Arielle Gray), before a glowing projection of the Moon relates how, when interred in a gulag, he was hypnotised by this orb and determined thereafter to work to consummate his rapture. These small touches of melancholic reverie complete Laika as a compact, well-judged production — an immensely enjoyable example of how to modestly evoke sublime spaces.